Genetic mutations in a form of non-small cell lung cancer (NSCLC) may drive tumor formation by blurring cells' perception of key growth signals, according to a new laboratory study published online on August 29, 2018 in Science. The article is titled “Cancer Mutations and Targeted Drugs Can Disrupt Dynamic Signal Encoding by the Ras-Erk Pathway.” The research, led by UC San Francisco (UCSF) researchers, could have important implications for understanding and ultimately targeting the defective mechanisms underlying many human cancers. Healthy cells rely on the central Ras/Erk growth signaling pathway (also known as the Ras/MAPK pathway) to interpret external cues about how and when to grow, divide, and migrate, but defects in how these messages are communicated can cause cells to grow out of control and aggressively invade other parts of the body. Such mutations are found in the majority of human cancers, making treatments for Ras/Erk defects a "holy grail" of cancer research. Decades of study have led scientists to believe that Ras/Erk-driven cancers occur when mutations cause one or more components of the pathway to get stuck in a pro-growth state. Researchers have labored to develop targeted treatments that flip these broken switches back off, but so far most have failed to make it through clinical trials. Now, using a high-throughput technique developed at UCSF that allows scientists to take control of Ras/Erk signaling using pulses of light, and then quickly read out resulting genomic activity, researchers have made a surprising discovery about this extensively studied pathway. 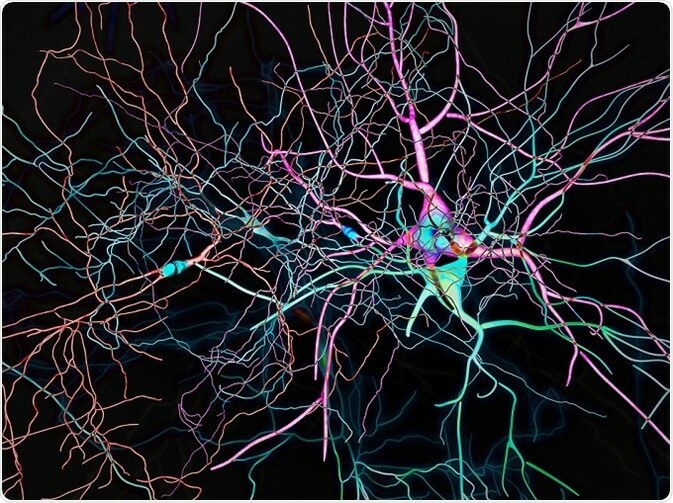 Optogenetics – an approach in which light-sensitive proteins are genetically engineered into cells in order to make them respond to pulses of light -- has been a transformative laboratory technique in neuroscience, allowing researchers to control and study electrical activity patterns within networks of neurons with exquisite precision. By using the same approach to explore patterns of chemical communication within individual cells, the new UCSF research has revealed that some Ras/Erk mutations may trigger cancer by altering the timing, rather than the intensity, of cellular growth signals. The new study also shows that this blurring of signal timing may explain why some targeted drugs designed to shut off defective Ras/Erk signaling can paradoxically activate the pathway, potentially raising the risk of new tumor formation. UCSF medical oncologist and cancer biologist Trever Bivona, MD, PhD, and Princeton molecular biologist Jared Toettcher, PhD, formerly a postdoctoral researcher in Dr. Lim's lab, were co-senior authors of the new study. The study's lead author was Lukasz Bugaj, PhD, of the University of Pennsylvania, also formerly a postdoctoral researcher in Dr. Lim's lab. Previously, researchers had little understanding of how the timing of growth signals impacted cells' behavior. To address this question, the new research made use of a novel optogenetic tool which was developed by Dr. Toettcher as a post-doc in the Lim lab. This tool, OptoSOS, can be engineered into cells to trigger Ras activity in response to precisely timed pulses of light. "Cancer biologists expect oncogenic mutations to turn a pathway on to a constant, high level," Dr. Toettcher said. "Our work shows that there is a second option, where mutant cells can still sense external inputs but alter the dynamics of their response." This misreading of signals appears to occur because a specific type of mutation in the B-Raf protein corrupts the timing of incoming growth signals, the researchers found, causing short pulses of Ras activation to reverberate for longer within an affected cell -- similar to how the "sustain" pedal on a piano causes individual notes to be drawn out and blur together. The researchers also showed that some targeted cancer drugs that are intended to shut down overactive components of the Ras/Erk signaling pathway may blur the fidelity of signaling much as B-Raf mutations do. Specifically, they found that vemurafenib and SB590885 -- part of a class of drugs called paradox activating B-Raf inhibitors -- significantly slowed how long it took Ras/Erk activity to shut off following OptoSOS stimulation, which could help researchers understand these drugs' known risk of triggering new tumor formation in patients. "This research teaches us about a previously underappreciated dimension to oncogenic signaling and suggests that the timing of growth signaling could play an important role in a wider variety of human cancers," Dr. Bivona said. "There may be future diagnostic and therapeutic opportunities that leverage the ability to detect aspects of signal corruption on a functional level that are not apparent by merely sequencing the cancer genome with the descriptive approaches that are currently standard in the field." Dr. Lim added, "We can now use interrogative tools like optogenetics to achieve a much more quantitative and systematic understanding of how cellular circuits work and how they break. This approach may be able to help us uncover what goes wrong in many diseases involving malfunctioning decision-making circuits in cells, ranging from cancer to autoimmunity." The article authors included senior author Wendell Lim, PhD, Professor and Chair of Cellular and Molecular Pharmacology at UCSF, a Howard Hughes Medical Institute Investigator, and Director of the UCSF Center for Systems & Synthetic Biology; senior author Trever G. Bivona, MD, PhD, a UCSF Health clinical oncologist, an Assistant Professor in the Division of Hematology and Oncology at UCSF and a member of the UCSF Helen Diller Family Comprehensive Cancer Center; senior author Jared Toettcher, PhD, an Assistant Professor of Molecular Biology at Princeton University; and lead author Lukasz Bugaj, PhD, an Assistant Professor of Bioengineering at the University of Pennsylvania. Additional authors were Amit J. Sabnis, MD, Amir Mitchell, PhD, and Joan E. Garbarino of UCSF. Dr. Mitchell is now at the University of Massachusetts Medical School. A patent application has been filed by Dr. Lim, Dr. Bugaj, and colleagues on the design of the opto-plate device.